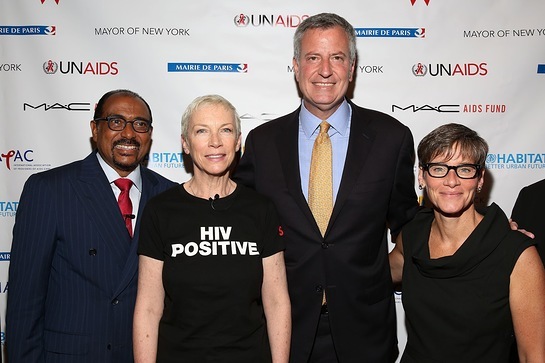 On Monday (June 6), celebrity philanthropist Annie Lennox joined more than 30 mayors and health officials from around the world to discuss a new Fast-Track Cities Initiative aimed to end HIV/AIDS on a city-by-city level by 2030. As the UNAIDS Goodwill Ambassador, Annie shared her vision for a world without HIV/AIDS and the epidemic’s disproportionate impact on women and girls. “We are now at a crucial point where we have the ability to end the AIDS epidemic once and for all in our lifetime. This is the time to drive things through, otherwise all the gains we have made will be reversed. 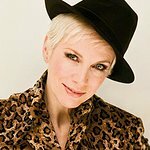 We need action now – more than ever,” said Annie Lennox. "Today’s UNAIDS meeting on “Fast Tracking” the end of AIDS offers an historic opportunity to bring together representatives of cities from all over the Globe to bring about the change we desperately need to see."